2nds. Carhartt’s FR Portage jacket is crafted from durable, inherently flame-resistant fabric that resists flash fire and arc flash. 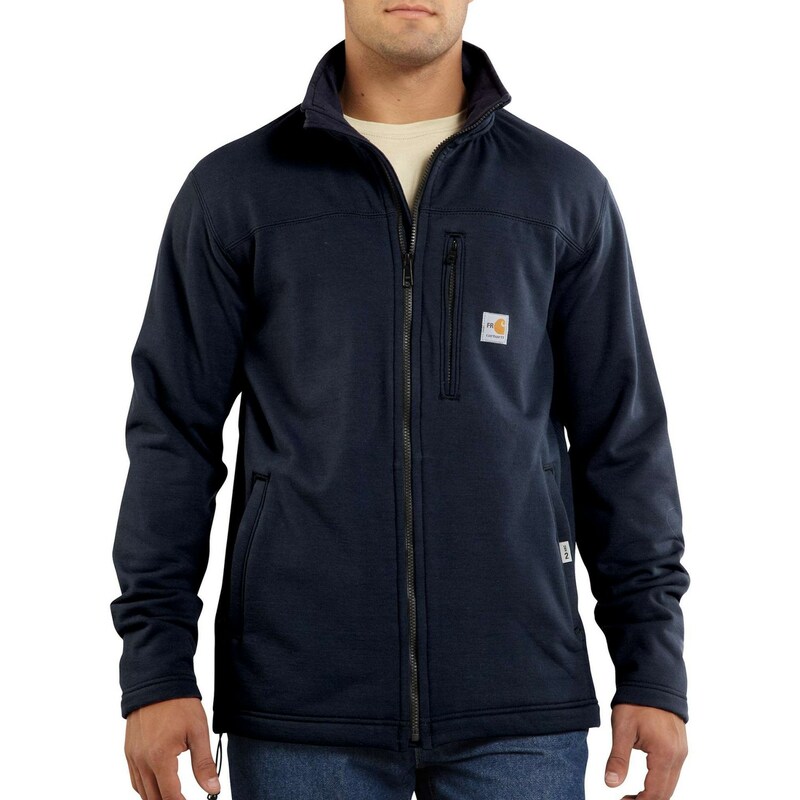 Outside, the smooth and durable jersey exterior is treated with a Rain Defender® durable water-repellent finish; inside, Polartec® Wind Pro® fleece backing supplies exceptional wind resistance, breathability and warmth.